An alternative to scary needles and drills… Laser Dentistry! Heat, vibration and pressure are the primary causes of pain associated with the use of the traditional dental drill. Dr. Furollo is proud to offer St. Petersburg gentle dental services with the use of laser dentistry. Since cutting both hard and soft tissues (teeth and gums) with the Waterlase® does not generate heat, vibration or pressure, many dental procedures can be performed with fewer shots, less need for anesthesia, less use of the drill and fewer numb lips! 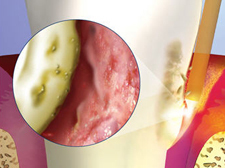 Additionally, using the Waterlase® for gum procedures reduces bleeding, post-operative pain, swelling and the need for pain medication in many cases. We are extremely proud to offer Waterlase®, the latest in laser technology. Waterlase® dentists are able to remove tooth enamel decay (the hardest substance in the body), bone and gum tissue precisely while leaving surrounding areas unaffected. This conserves and allows you to keep more of the healthy tooth structure. Waterlase® cavity preparations can increase bond strength of tooth-colored restorations resulting in longer lasting fillings. Since you often do not need shots or anesthesia, we can perform cavity preps in all areas of the mouth in just one visit. This technology also gives us the ability to perform many procedures that were previously referred to specialists. The Waterlase® is extremely versatile. 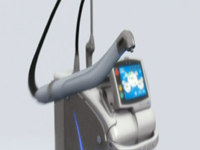 It can be used for a wide range of hard and soft tissue procedures. You will find that it offers us the capability to perform what you need, when you need it and with less discomfort. From decay removal, cavity preparation, root canals, smile design, gum and bone surgical procedures and more. Contact us for more information about our laser dentistry for St. Petersburg gentle dental services.